ACU provost Dr. Robert Rhodes takes a putt as engineering students (from left) Eric Hamilton, Cole Shannon, Aaron Steward and Christian Raisor look on. Learning about engineering and physics means using science, math, economics, social and practical knowledge to solve real-world problems. 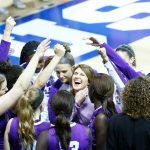 For students in ACU’s Department of Engineering and Physics, it also means using their knowledge to make learning fun for local schoolchildren. The element of fun was evident during the department’s third annual Intro Design Expo in October and the second annual Cardboard Boat Invitational Challenge in November. 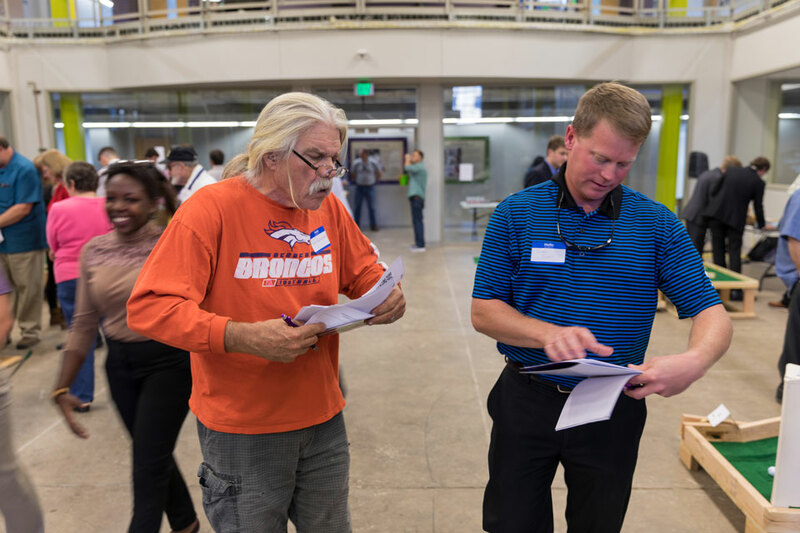 Celebrity judges included Chris “Doc” England (left), who owns Play Faire Park, and Corey Ruff, executive director of ACU facilities and campus management. 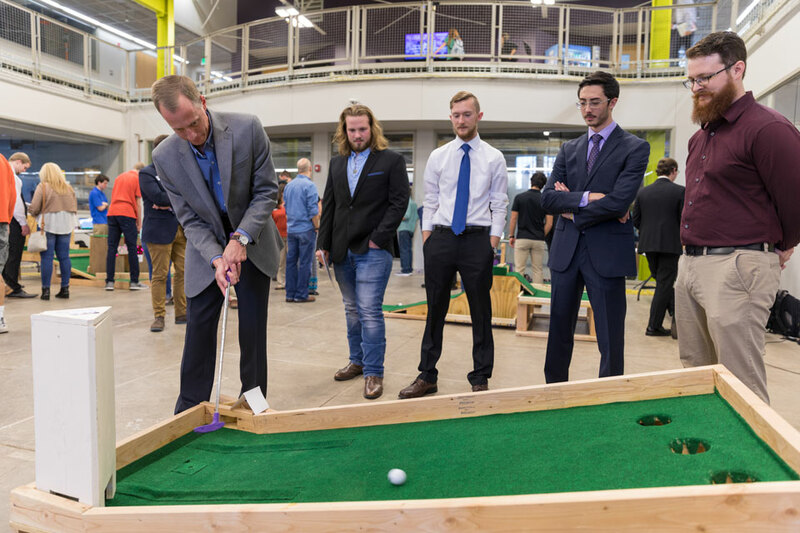 The Design Expo debuted a 14-hole mini golf course designed by students in the Introduction to Engineering and Physics course. The mini golf course was originally on display in Bennett Gymnasium and later on exhibit at World of Work, an annual event put on by Workforce Solutions of West Central Texas, that brought nearly 3,000 students into the Abilene Convention Center to learn about possible future careers or educational opportunities. 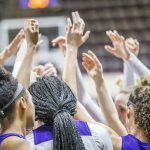 A few weeks prior, students from Abilene Christian Schools and Taylor Elementary tested each of the holes, providing feedback to the ACU students on ways to improve their creations. The holes were scored by celebrity judges, including ACU provost Dr. Robert Rhodes and Corey Ruff, executive director of facilities and campus management. Also serving as judge was Chris “Doc” England, who owns Play Faire Park, the oldest continuously run miniature golf courses in the state. Middle school students race boats they constructed from cardboard, duct tape and glue. 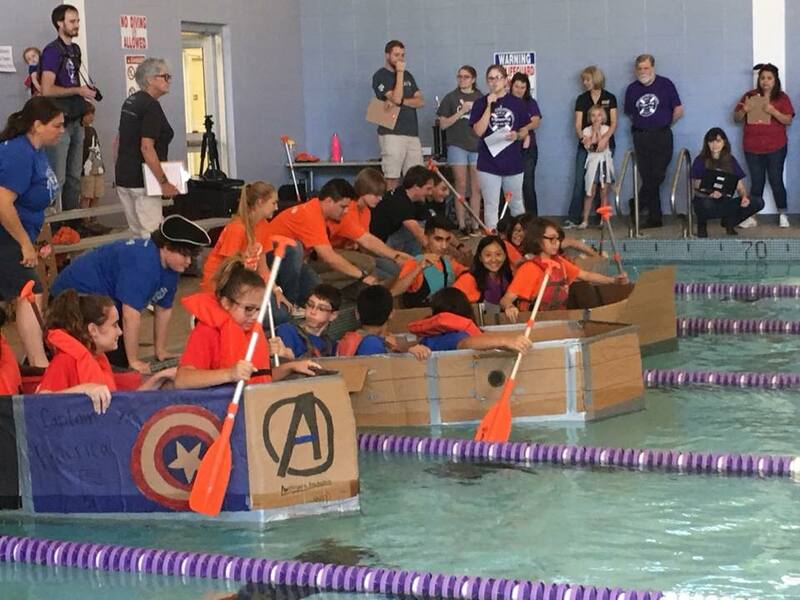 The Cardboard Boat Invitational was held in partnership with the Academy of Technology, Engineering, Math & Science (ATEMS) in Abilene and Parkhill, Smith and Cooper, an architecture and engineering firm with offices in Texas and New Mexico. The competition featured nine teams of middle school and high school students who were challenged to build boats using only cardboard, duct tape and glue. ACU students answered questions and helped the students as they constructed their boats in the labs at Bennett Gymnasium. The boats were launched in the swimming pool at the Money Student Recreation and Wellness Center and put through races and durability challenges. Both events provided opportunities to foster student interest in science, technology, engineering and math. 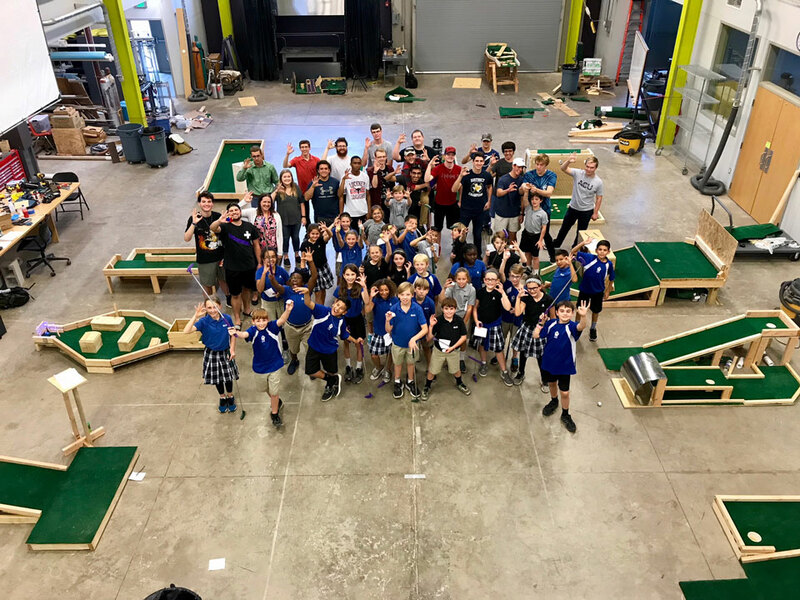 Abilene Christian Schools fifth-graders and ACU freshmen gathered for a photo after the students tested the mini golf course.